Photo: This vehicle is one of 15 zero-emissions delivery step vans that USPS is testing in California. March 18, 2019 — The Postal Service is testing delivery vehicles in California that produce no emissions, part of a statewide program to cut pollution and strengthen the environment. USPS will use 15 zero-emissions delivery step vans and charging stations in Fresno and Stockton — two areas known for unhealthy air quality. The electric vans will cover routes of up to 75 miles per day during a period of 6-10 hours — just like their conventional 2-ton vehicle counterparts. In addition to having a positive ecological effect, the vehicles are expected to save the Postal Service $4,000-$6,000 a year on fuel costs. 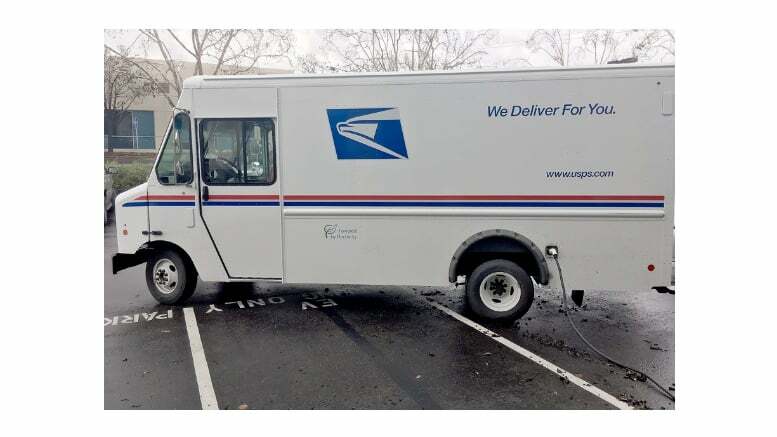 Like the USPS Next Generation Delivery Vehicles initiative, the no-emissions vehicle test is part of the Postal Service’s broader efforts to innovate and invest in the future, two core strategies for the organization.